You are itching to write that proposal. You know you are. All those glorious charts and graphs, just burning a hole in your hard drive. The hours spent drawing the mother of all org charts, topped off with the finest writing you’ve ever cut and pasted from Wikipedia and your previous proposals. You’re so clever, you brilliantly copied a low-rez, pixelated logo from your prospect’s website and pasted it on the front cover. So let’s slow down a bit and do a quick review of the work you’ve done so far. You’ve become an expert in your prospect’s industry and company (Chapter 3), you’ve managed to to meet the right people at the prospect’s company to establish trust (Chapter 7) and further explore their real needs with tough questions, all the while keeping in mind (and in check) the assumptions that both sides of the table may have (Chapter 8 and Chapter 9). You’ve sorted out all the Yes and No answers to your satisfaction (Chapter 11). Don’t start writing that proposal yet..now its time for the hard work. Wait, wasn’t it hard already? Yes, it was hard in the same way that prepping the room before painting it is hard. But prepping a room (or prospect) is very straightforward, as long as you follow a process. If you follow the process detailed out in the first 11 chapters you will have completed the very important prep work. The tough old grizzled sales veterans know that the real work starts when it is time to figure out what to do with all of the “Maybe” answers to your questions. Maybe might seem self-evident when used to describe the give and take of yes and no questions and answers. But there are lots of other kinds of Maybe out there. Depending on the era of business book you have read in the past, these Maybes have been called inflection points, road blocks, paradigms, yellow lights, and a host of other names. What they all come to mean to us is a warning sign that will require us to dig deeper with more questions, change our strategy, or requalify our prospect before moving forward. An obvious Maybe is a vague answer to the question, “Does this project have a budget?” Other Maybes may be a little harder to address, such as vague answers to questions such as, “Who from your company will be making the final purchasing decision?” or “What are the factors that will make up your score card when it comes time to award the project?” In those cases, the truth might be that the prospect does not really know the answers. Perhaps he thinks he gave you a correct answer, but his answer could be right, wrong, vague, or incomplete. That little voice deep inside you, the one who has become more vocal as you become a more experienced salesperson, is quietly gnawing at you that things aren’t quite right. You may be tempted to move ahead, belittling those doubts about the budget, the competition, the specification, the timeframe, or even your own company’s ability to do the job well. What that soft but persistent voice is telling you is to slow down and reevaluate things. It is time to re-qualify your prospect by asking yourself some important questions. Is the existing supplier well entrenched in the prospect’s organization? Do I fully understand not just the specification being used, but the full intent of the solution? Is there an ROI angle that will ultimately grab the attention of the C-Suite? Can a lack of clarity on the specification work to my advantage by putting me in a position to develop a deeper dialog with my prospect? 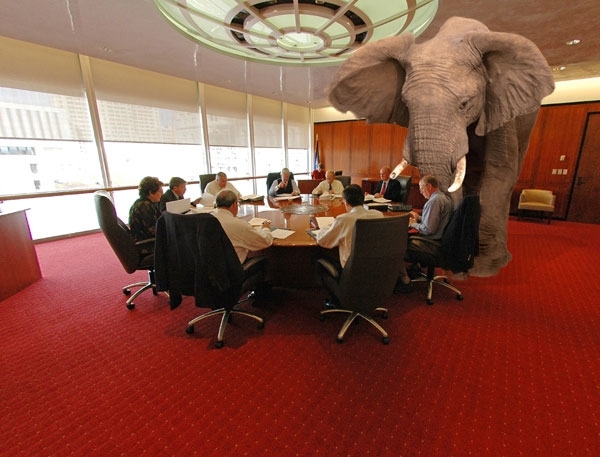 Are these Maybes obvious to everyone working on the project, but nobody wants to talk about the elephant in the room? These examples of potential problems are very common in any large, complex, or technical sales. Most of us breeze right by them, hoping that they won’t get in the way of the sale. But according to author Rick Page, a guru of complex sales, hope is not a strategy. There are, however, tactics that can help you reevaluate these warning signs, dig a little deeper, ask even more tough questions, and then determine if you should continue with this prospect or cut your losses and start on another. One of the most difficult situations for any salesperson is trying to unseat an incumbent service or product supplier. There are no shortages of Maybes in this situation. It is not easy to wedge your way into a longterm, stable relationship when you have only promises to offer. In Chapter 13, we’ll look at this situation in greater detail, and introduce a tactic that I and others have used with great success to get our foot in the door. When you hear the words “I need” and a description of what’s “needed” do you immediately start to design and quote or sell? If you do, at the end of the sales process, you often hear “Great Idea but It’s too expensive”, don’t you. Can you really afford to waste time selling with the outcome being “sorry, not enough budget”? Up front and immediate qualification of things like cost v budget is a must for any sales process. It’s the reality check that can get you a sale or let you scale down the expectations of your prospect so they can get a solution at their budgetary level. Yes, I did say “up front” as in way before you even start to sell! So is up front qualification of budget availability, how to get cash obligated and available, the evaluation and buying process, how things get bought and who needs to be involved to get to yes. It’s all done in about 1 minute on the very first sales approach call and its results tell you if you have a prospect, have money available to buy and even if you should continue with the selling process because there is a reasonable chance for a sale if you do. 1. First off, do some research and understand the target company, especially how and why your product or solution can help. 2. Next, make a short 30 second communication/connecting “commercial” based on your findings that can quickly and succinctly say what you do, relate pertinent issues, benefits and problems solved that you know the “suspect” faces and let you ask if it’s something that the prospect needs or would adopt. 3. Next find and define who would be right to hear that commercial at the highest level of responsibility and authority, relate to it and give you a true assessment of need/value on the spot. 5. 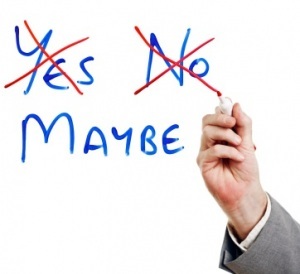 If yes- ask how, why, reason, problems solved, impact, This creates a link between you and the person that you have called for a sales process to begin that, if perused properly, you have the basis of selling value/ROI and not cost and you know it has possibilities to yield a sale based on those criterion. Actually, that’s the basis of a solid sale- Perceived value and or ROI, not cost! 6. If no, or you get a weak maybe, stop selling, say thanks and move on to the next prospect. Don’t waste sales time on this one. Yes it’s OK to say “Thanks for your time and your honesty. I can see that our solution isn’t applicable to you” and then ask “Do you know of a colleague that could use my solution” and you might get a great prospect to call. Even an introduction. 7. If yes, learn the process for moving forward and facilitating the outcome being a funded PO. Ask “If we do have a worthwhile solution for you, who along with you would need to be involved in evaluating, adopting and purchasing your concept”? That teaches you who to approach beyond your initial contact and does not insult the person you are speaking to. Even more important, since your idea or solution has already been acknowledged as worthwhile by the prospect. using this question also lets you ask them for help in moving forward. You will get that inside help or as we call them in sales the inside CHAMPION who can sponsor you and your idea/solution up the ladder, a very valuable inside ally in any sales process. Remember, don’t say “who is the decision maker”. It’s an insulting question because it says to your suspect “you are a peon so tell me who to go to.” WRONG!! The “peon” is the gate keeper and can help move you forward or kill a sale because they are usually the resident expert that the decision maker consults for value. 8. Get Budget qualification up front – Get it qualified immediately in this first call. After the 30 second commercial gets receptivity or the caller has finished telling you what they want to buy, in either the proactive or reactive situation, state a rough cost right then to your suspect for the solution and ask if there is a budget for implementing the concept if it’s a worthwhile idea. Yes, I did say bring up budget and possible cost right away and yes it violates every sales rule that you have learned. Don’t even think of continuing the sales process without knowing the answer to this budget and budget process in call # 1 because the answer you get reveals the time and process needed to get the sale and your prospects perception of “how much” they think your solution should cost. It lets you measure if it’s worth your time v the ultimate sales value as well. Don’t be afraid of this question so early in the process. It tells you if you can proceed with your idea. It also lets you ask and understand what the company’s usual process for evaluating and ultimately purchasing your idea is. That’s a clear roadmap to a financial yes, the key to the PO so get it and work it. That’s also true when you get a call from a “potential” customer telling you that they are going to by a specific solution just like yours. End users rarely have a handle on real costs nor have they correctly obligated enough budget so do not spin your wheels without qualifying need v probable cost and available budget. Incidentally, doing so lets you advise them re their budget inadequacy and it’s an opportunity to sell a starter system using the available budget. Remember, people do things for their reasons, not yours. So instead of deciding that you know a prospect needs your service and trying to ram it through, follow the steps above, use the 30 second commercial up front and you will avoid chasing rainbows that do not become sales. Tangible Results for you Because you are working with solidly qualified prospects who have or will spend the $ for your solution, you will up you close rate and reduce the time it takes to get the sale. More income faster from more sales—That’s a great equation for us sales types isn’t it!